With Notre Dame coming over to play Navy in Dublin, Ireland this summer, there will be plenty of Irish fans making the trip over. Funny thing is, there are plenty of them here already. They are a pretty passionate bunch too. Take for example 37 year old father of five Michael Kavanagh from Wexford. 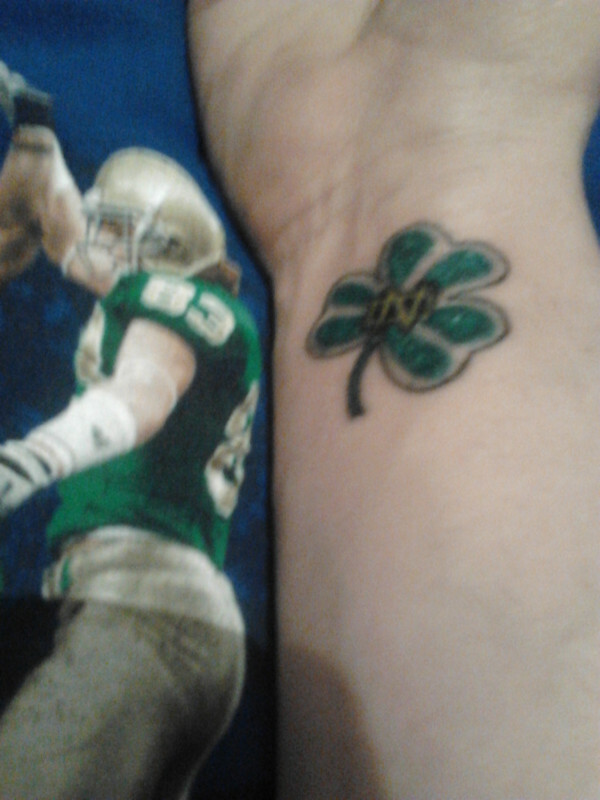 'Iron' Mike is a devout Irish fan who has been following Notre Dame and American football in general since back in 1989. He literally never misses an Irish game, and has been looking forward to the team coming to Ireland since the trip was announced. Mike had always wanted to represent his passion for Irish football more visually, and with Saint Patrick's day coming up, decided to pull the trigger. 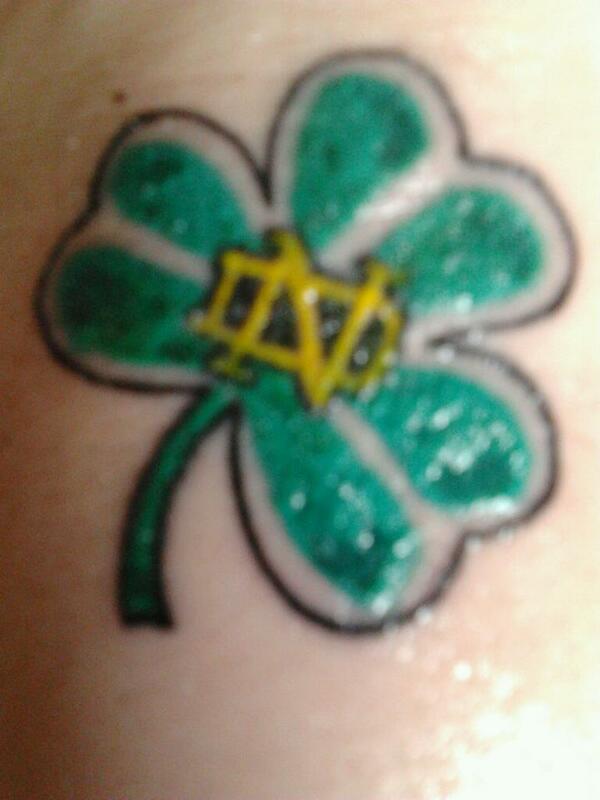 He designed a tattoo of the famous interlocking ND in the middle of a traditional Shamrock design. While this was definitely an unusual request at ''The Screaming canvas'' tattoo parlour in New Ross, they did a fantastic job on it. Mike fell in love with the history and tradition of Notre Dame football at an early age and, like many college football fans in Ireland, felt a connection to the Fighting Irish that grew in the 80's and 90's into a strong bond. Whilst Mike is excited about this coming season for the Irish, he admits he says that every pre-season!